Hawaiian Breeze is our Mild, Vanilla flavored cigar aimed for non-cigar and cigar smokers alike. It's ultra smooth finish combined with a slightly sweetened tip makes this cigar a hit for almost any occasion. 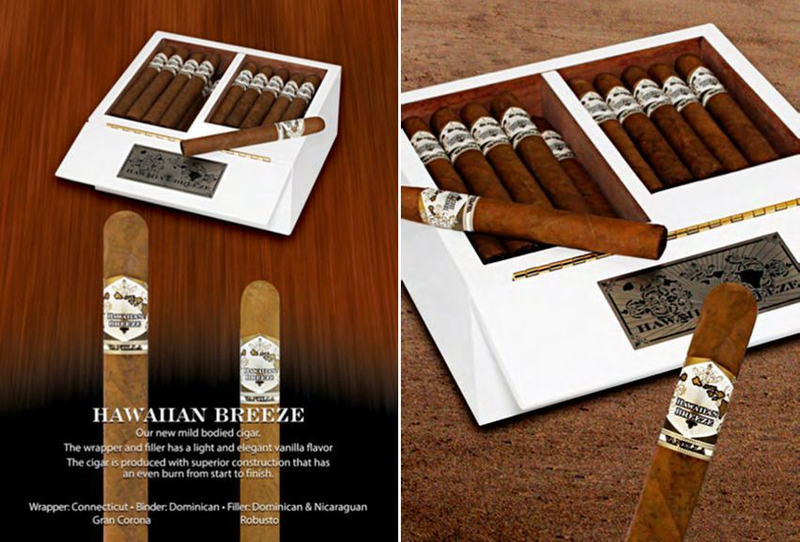 Hawaiian breeze initially comes in beautiful retail friendly cigar trays (seen above) and are refilled in 25 Count Bundles.